Many physical therapists think that they can not perform and get reimbursed for diagnostic tests. To address this question with facts, we are providing below excerpts of your State’s Practice Act and using Medicare as an example, show you possible reimbursements for four diagnostic tests. If this piques your curiosity and you would like to discuss how you could implement diagnostics into your practice and start getting reimbursed quickly, please set an appointment. This is about a business opportunity, not just CEU courses. (a) Inserting and adjusting electrodes. (b) Reading and identifying normal and abnormal signals on the grid. (c) Interpreting the audible signals. It further states: “Practice of physical therapy” means the performance of physical therapy assessments and the treatment of any disability, injury, disease, or other health condition of human beings, or the prevention of such disability, injury, disease, or other condition of health, and rehabilitation as related thereto by the use of the physical, chemical, and other properties of air; electricity; ……… the use of radiant energy, including ultraviolet, visible, and infrared rays; ultrasound; water; the use of apparatus and equipment in the application of the foregoing or related thereto; the performance of tests of neuromuscular functions as an aid to the diagnosis or treatment of any human condition; or the performance of electromyography as an aid to the diagnosis of any human condition only upon compliance with the criteria set forth by the Board of Medicine. 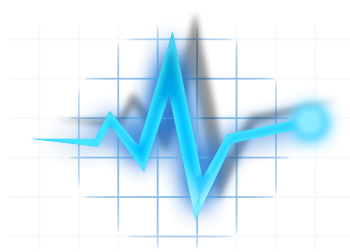 EMG/NCS Testing uses electricity and Musculoskeletal Ultrasound uses sound waves for the evaluation (testing and measurement) of the neuro-musculoskeletal system. APTA fully supports PTs practicing EMG/NCS Testing as it is within the scope of Physical Therapy Practice. The Orthopedic Section of the APTA in a white paper not only advocates the use of Musculoskeletal Ultrasound Imaging within the scope of practice for Physical Therapy but also endorses its application both for diagnostic as well as procedural purposes to aid neuromuscular re-education, dry needling and electroneuromyography. Find here information about Direct Access to Physical Therapy in your state. 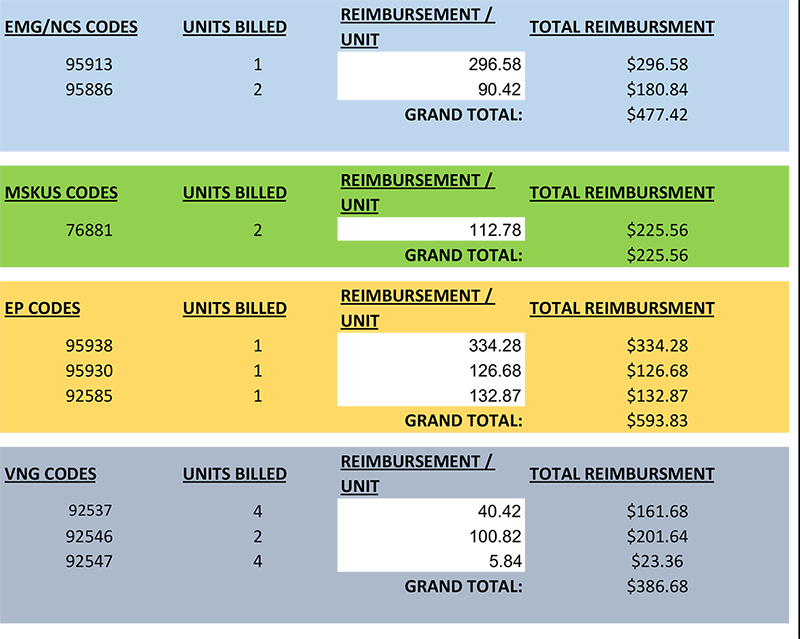 Here is an example of a 2016 Medicare fee schedule for a variety of diagnostic testing for a selection of CPT codes and corresponding number of units. Insurances usually pay a multiple or a percentage of the medicare fee schedule*. TotalReimbursementPatient& ROI (Return On Investment) For You! *This fee schedule were taken from the website of your regional Medicare Intermediary’s site around Sept. 2016 without modifier. Click here to view a Medicare Intermediary for your state. This fee schedule does not necessarily represent the exact amount of reimbursement you will receive as billing patterns and code selection varies. Please feel free to verify the current figures. ©2017 Hands-on Diagnostics. All rights reserved.